Betting on the odds of the small ball falling just in the right spot might be one of the oldest and the most popular games in the world. However, very few people actually know how to beat these odds and secure their winnings. Would you just walk in a casino and give the dealer a $50 bill and cross your fingers for the best? Well, most people would. We hope that the last thing you wish to do with your money is to lose it and then just walk away like most misguided players usually do. Do not hope for that blind luck, but instead add some betting strategy to it and possibly walk away with great winnings. In the games of luck, anything can happen. But by creating a plan, you will be able to increase your chances of winning, even if only slightly. Roulette has always been a fascinating yet straightforward game of chance, which is one of the main reasons why it became one of the most popular games all around the world. We doubt that there is a person that hasn’t heard about the famous wheel and its benefits. Note: Explore the rules of the casino game! One of the main reasons roulette attracts so many players is that the rules are pretty basic and easy to master. A roulette wheel consists of the spinning disk that features red and black slots with numbers from 1 to 36 and one or two zero slots, depending on which version of roulette you are playing. In case you are playing the European or the French version, the wheel contains one zero slots, while in the American variety, there are two zero slots. Before the ball rolls on the disk, players need to place their bets on the number they expect the ball will end up on and put their distinguishably colored chips on the matt to advise the croupier that their bets are ready. Once the stakes are set, the croupier spins the wheel, and the ball rolls in the opposite direction until it lands on one of the slots. Afterward, the croupier announces the results, collects all bets that have not matched the result, and pays out the winnings. Pretty simple, right? Well, it can be more than just a game of luck. 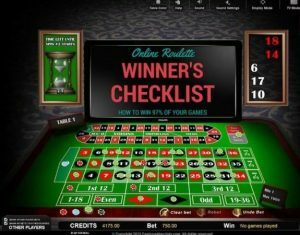 Picking the online roulette strategy is quite a task. There are plenty of them, and the perfect choice for you depends on the size of your bankroll and your talent for mathematics. We chose to look into the one that has proven to be the most successful for the largest number of players and that is Martingale roulette strategy. This system has proven to be the most popular and the most commonly chosen amongst players, mainly for being the most effective. The concept behind this strategy is to follow the same principle no matter your results — increase your investment after every loss! This way, when luck meets your road, you will receive your money back and will be able to start betting with the amount you started with once again. The concept is easy to understand and implement since it is quite logical; you do not have to be a strategic god or a mathematical genius to be able to use this strategy. When you take a better look at it, you will realize that you are going all in — to win small amounts. The Martingale will potentially get you amazing winnings if you follow the central principle of the system all the way. However, your bankroll needs to support the risks you are taking as well. It is quite risky since this strategy only brings you winnings in the short term. It is really easy to get carried away with those winnings, and by following Martingale, you are investing more and more with each loss. In the end, the amount you will be losing for that extended period of time will most surely outweigh your winnings; so if your bankroll cannot follow such great stakes, we recommend staying away from this strategy. You could try by starting with minimal amounts and gradually increasing your roulette bets. However, even then, you will need to pay attention not to get carried away. Also, another important Martingale flaw is that most of the casinos ban such significant investments and have maximum wagering limitations, so that could prove problematic when applying this strategy. Also, there are plenty of other strategies that involve serious math calculations. However, such an evolved approach most often doesn’t show results, and players almost always end up losing much more than they originally planned. Realistically, you shouldn’t ever try to blindly pursue any strategy because, at some moment, they will all fail you. Players get carried away since they are so certain of the strategy they have in mind and lose both their money and the love for the game of roulette, which is quite a shame. On that note, we want to offer different types of suggestions that can help with building your confidence as a roulette player and maybe reduce the potential losses. With built up confidence and a couple of roulette tips and tricks, luck might just follow! A lot of players fail to understand that roulette has a specific way of playing. You can make vast amounts of money by placing your bet on only one number. However, you also have another safer option. By placing your bets on lots of numbers, you increase your chances of winning. Obviously, the odds of hitting one number you are betting on are meager, and for that reason, the possible payout is really high. But by splitting your bet on the outside and including several numbers, you will increase your chances to win. Include betting on red, black, even, odd, and even on a row of numbers, and you will increase your chances of winning. Collecting small winnings will always be a better option than not collecting at all. There are plenty of records that prove that there has been a considerable amount of winnings in roulette due to biased wheels. In other words, while landing on slots, the ball can cause minor damages to the wheel, further altering the results of bets in a way that some number show up more frequently than others due to the caused damage. Besides this, some wheels are not completely flat, which can additionally affect the course of the game. There have indeed been complaints about these issues in the past. However, many live casinos have dealt with this matter appropriately, so this phenomenon is now a part of history. But when it comes to online Roulette, its wheels use a random number generator that determines the outcome. Physics have nothing to with the result anymore. Therefore, winning at online roulette is no longer affected by anything else rather than a disciplined player with a betting pattern. 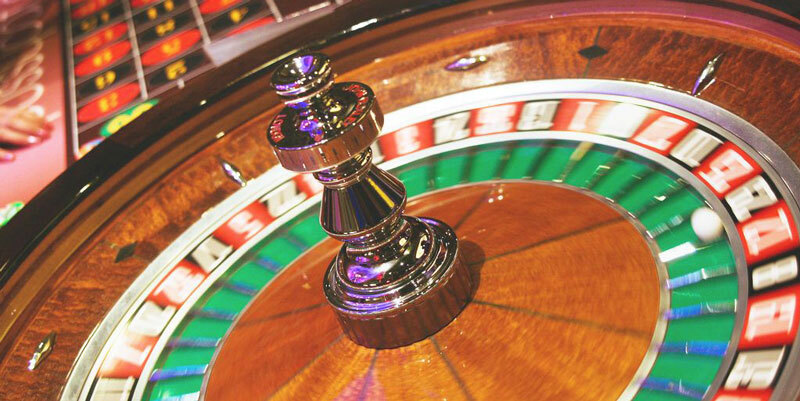 Traditionally, roulette has been played in two main variations: European and American. European roulette is predominantly offered in Europe. However, this version is preferred by many players in other parts of the world too. On the other hand, the American version can be found in most live casinos in the US. The differences between the two are minimal, but they do offer different odds for winnings. The main one is that the wheel in the American roulette has a single zero and a double zero slot, while the European version has only the single zero one. That extra zero slot in the American version of roulette makes it more casino-friendly since the house edge is higher due to that extra 0 slot. The European variant is simply better, as it offers higher payouts in comparison to the American version, so it remains a more profitable choice for players. Now, when it comes to the French version of roulette, it is quite similar to the European one. However, the board you will bet on is positioned a bit differently and has a different design. The payouts are the same, but the one thing that makes French roulette stand out is their “La Partage” rule. The advantage this rule has to offer to players is quite interesting. The players who made an even bet will have an option to receive half of their initial investment back in case the spin ends on a zero. Also, another fantastic advantage of this version of roulette is that some include “en prison” rule, which means that once you put your stakes and a zero is spun, you have the option to put your initial bet “in prison,” and it will stay on the board for the next round as well. And in case that player’s bet wins, he will get his stake back. A surefire way to eventually lose all of your money is to exceed the budget you initially planned. People have always had troubles with maintaining discipline. However, games such as roulette demand a high level of self-control. Bankroll management is the oldest tip in the book, but if you combine it with a conservative plan of betting, you will find that winning at roulette is a whole lot easier. No matter which type of casino you are playing at, the house will always have an edge. The casino usually relies on possible losing streak of players, but the house does not win every bet. Generally speaking, the house edge is usually low when it comes to roulette, especially in European and French versions. So all you need in this case would be a little bit of luck! Alcohol has always been held accountable for bad decisions and gamblers tend to include it in their gambling routine. Some beginners are led by the thought that drinking will bring out the best in them and boost their confidence. This has always been a bad idea and has resulted in placing unreasonable bets that destroy their bankroll in a matter of minutes. When your money is involved, you should aim to have a clear head. Drunken roulette players may have more fun, but usually, have no winnings. Online and land-based casinos have always had their loyal audience that oftentimes refused to change their favorite places to play at. You should always keep in mind that the tactics you are using online can still be used in a live setting as well. But if you think about it, although online sites have many advantages, nothing beats that live casino experience. Also, another advantage is that the games in live casinos are much slower than online, so you will have more time to think about every move you make. Don’t be afraid to try the real thing! Thinking that your losing streak has to end with a destined win is a classic gambler’s fallacy. Roulette doesn’t work for or against you, and your chances are affected only by your way of playing. Many players expect good luck and a winning streak even though they refuse to change anything in their style, plan, or approach. But instead, they need to realize that roulette is as random as every other game casino has to offer. Perhaps the most known example of gambler’s fallacy happened in one of the Monte Carlo’s famous casinos. The ball fell on black 26 times in a row. Players were astonished by this since it is a really uncommon occurrence. Streaks such as this one have only happened a couple of times. The game ended tragically since gamblers reasoned that the streak will have to change and that it will most definitely be followed by a long streak of red. The odds were around 1 in 66.6 million since the probabilities of this happening more than 26 times were 26–1. The game resulted in millions of francs lost since players decided to bet against black. Ready to Beat the Odds? Playing in casinos can be an enjoyable experience for players who would like to embark on this journey with a little bit of caution. Roulette has always been the most exhilarating game out there and will always attract players, both beginners and more experienced ones. There will always be many proposed strategies that they could follow, but please always bear in mind — there is no such thing as a guaranteed win! Investigate every casino you wish to join, read more about the rules of the game, and maintain your bankroll management. For all of the above, you will need a little bit of commitment, a base plan, and a clear judgment. By following these simple tips, you will become a player who enjoys the game while knowing how to beat it, with just a little bit of luck!